Wer uns bereits seit einer Weile folgt weiß, dass wir auch gerne einen Blick hinter das Produkt Brettspiel werfen. Im Zuge dessen hat Garvin Kontakt zu Naomi Robinson aufgenommen. 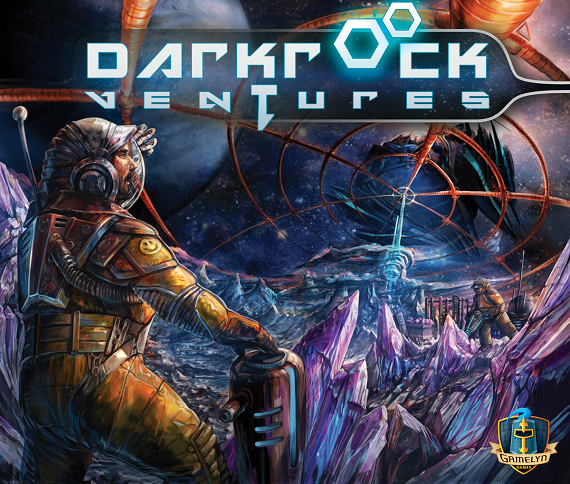 Sie ist Designerin und war unter anderem für das Artwork von Kanban, Airlines, Darkrock Ventures und Fields of Green verantwortlich. Außerdem hat sie uns eine kleine Überraschung überlassen. Was das ist, seht ihr am Ende des Interviews. First of all thank you very much for doing this interview with us. We have prepared a couple of questions, feel free to answer as detailed as you like.I would like to start with a little background information. Could you please tell us a little bit about yourself? How did you get into the Board game industry in the first place? Which games have you worked on so far? I’m an artist from North West UK with 3+ years experience in the Board Game Industry. 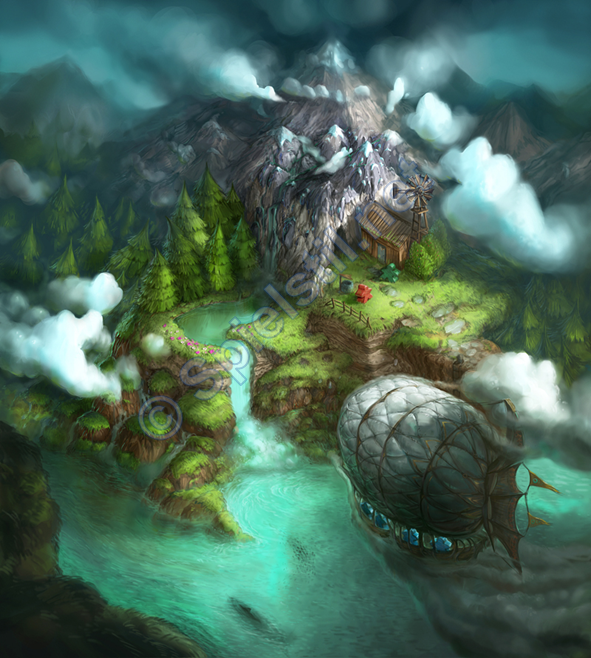 Before this I worked as a 3D artist for a small indie games studio and it was during this time that I was approached by Michael Coe from Gamelyn Games to work on Fantasy Frontier, my first ever board game project. 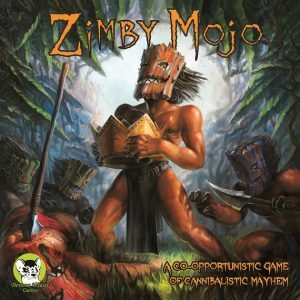 I’ve worked on quite a few games so far such as Pay Dirt (Crash Games), Ophir (Terra Nova Games), Kanban (Stronghold Games), Darkrock Ventures and Tiny Epic Galaxies: Beyond the Black (Gamelyn Games), Prime Time and Rome: Rise to power (Golden Egg Games), Zimby Mojo and Bemused (Devious Weasel) and Fields of Green (Artipia Games). When a publisher or Designer approaches you, what steps needs to be taken until you get the Job? Do they usually have a theme for the Game already? Are they asking you to pitch some ideas and give some input? Could you describe shortly the whole process from first contact to delivery? Initially a publisher/designer will contact me with a brief description and explanation of the game and theme, a list of assets they require and maybe even a few visual examples of the kind of aesthetic they are hoping to achieve. I always find the more information the better as it really enables me to get a better sense of the project and more accurately estimate the time required in the quotes. If we both decide to go ahead with the project after the quoting stage, we may discuss a few of the visual elements a little further and then move onto the initial design/sketching phase. This usually entails creating thumbnails of ideas, sometimes with colour, sometimes without. After a review with the clients where they choose their preferred ideas we move onto the development stage, possibly with another review mid or late stage development. Once everything about the piece is reviewed and ok’d, for example the colours, composition, placement of characters, detail elements etc. the piece can be taken into the polish stage where it is finished and passed onto the designer. What is the scope of your work? 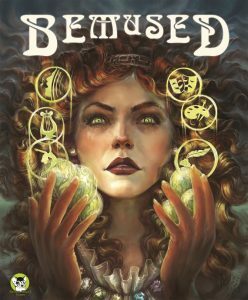 Are you designing the art for everything in a Game such as Box Cover, Game Board, Tiles, Cards, Manual etc.? How long does it take for you to finish a project? I tend to cover all elements of the illustration with projects. For example with Pay Dirt, Ophir, Kanban, Tiny Epic Galaxies etc. I created all the artwork for the entire project i.e. box art, game and player boards, cards, tiles etc. Although more recently for projects such as Bemused or Fields of Green I’ve been creating single elements such as a card deck or the box art. Are you working closely with the Designer to visualize his ideas? Do you get a fairly detailed prototype of the game to work with? It really varies from project to project. Sometimes a deeper understanding on the game can be really important and other times a brief specification can be all that’s required. It also really depends on what element of the game you are working on, for example the box art is usually a piece that designers/publishers like artists to have free reign on but for an asset like the game board a lot more collaboration is required as a game board has to be functional and efficient. In regards to prototypes by the time I’m part of the project the prototypes are usually quite developed if not finished, they may be missing a few elements or subject to tweaks here and there but this all tends to be minor. How many revisions are usually necessary, until it gets approved by the Publisher? Using the ‘initial designs’ > ‘developed ideas’ > ‘final/polished’ stages should in theory reduce the amount of revisions needed in the later stages of the project. The idea is to make all the decisions and revisions in the early quicker stages and then really dive into the lengthy detail later on without too much backtracking. Allowable revision numbers also vary from project to project, often the aim is for no more than 2 small revisions per stage. Do you have to work under a tight Production schedule? If yes how do you deal with the pressure to come up with great Ideas in a short period of time? This definitely depends as well, sometimes project have a longer more relaxed schedule but quite often they need a quick turn around so they can attend a certain convention or event with the new game. I tend to find collaboration is the key factor when it comes to inspiration under tight deadlines. It’s easier to develop concepts and illustrations when you have time to lavish on a piece, so it’s vitally important that you can ask another person (the designer etc.) for feedback and fresh ideas if you are stuck on a concept. New perspectives really invigorate the process under tight deadlines. Have you ever experienced during project development phase a 180 degrees turnaround, where the publisher/Designer all of a sudden change the entire theme of the game or even cancellation in the middle of the process? You have worked various projects with very different themes and settings, is it difficult to come up with new Ideas? Where do you draw your inspiration? Do you have to spend a lot of time in doing research? I make sure I spend some of my (outside of work) time looking at other artists work, collecting it and researching reference. You can see a good example of this on my pinterest which I use as an inspirational base with most of my projects. When I approach a specific project I will often ask the clients for their own visual reference of art styles, compositions, colours etc. and use that as a foundation to work from. I’ll also scour my pinterest for appropriate images and then move onto more specific image searches, for example if the project is based on vikings and maybe I’m creating a female viking character I may not have specific enough visual reference of viking brooches so I’ll go and research that particular element. I then move onto a moodboard phase where I collate all this visual reference and research into one board which I use as a base for ideas and sketches. I tend to be quite lucky in this regard as I don’t often run into creative blocks, but I have a few tricks for improving the flow of creative ideas. As I mentioned previously I find collaboration is absolutely pivotal, also constantly absorbing and studying artwork you find inspiring is so important, but sometimes you need to just run with the creation process regardless of ideas and see what happens, i.e. just quick sketch or block paint. Sometimes just the process of painting (even without brilliant ideas) can yield surprisingly interesting results or at least just blow away the cobwebs. I find the greatest challenge is finding a balance between meeting tight deadlines and hitting a high enough quality bar to satisfy my own particular standards. I would love to spend more time on client pieces but at the end of the day as long as the client is happy with the work and it serves the intended purpose then I’m happy also. Would you say the Board game Industry is very competitive for an Artist? Are jobs scarce and difficult to get? Do you have to be very proactive? I think you do have to be proactive in getting your name and work out there and talking to developers/designers but the board game industry/community is one of the friendliest and most helpful communities I’ve been around. I very luckily have people I’ve worked with previously put me forward for work, designers and artists alike and I do the same for them as well. In terms of job scarcity I’m not entirely sure, I can only speak for myself but I tend to have incredibly busy times of the year and then much quieter spells but overall if you keep your name and work visible it seems that work isn’t too scarce. I always struggle to answer this question and it seems like a cliched answer but I legitimately have very different reasons to love all the projects I’ve worked on. For example with Paydirt I ended up growing a real love for gold mining, diggers and heavy machinery. Similarly with Kanban creating the game board was quite challenging but I really loved the way the partial top down view ended up looking. 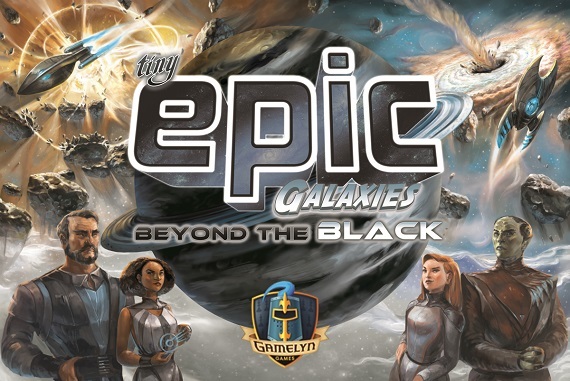 I also think that a few of my more recent box covers are my favourites such as Tiny Epic Galaxies: Beyond the Black, and the two for Devious Weasel, Zimby Mojo and Bemused. 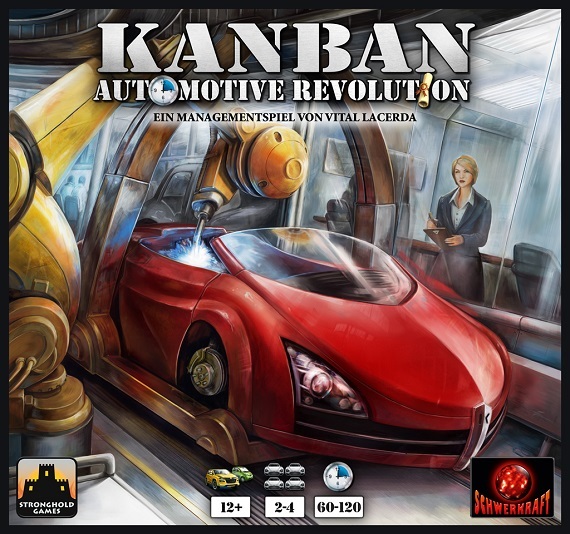 You were the Artist for KANBAN: Automotive Revolution by Vital Lacerda (Loved the Box Cover Art). This was a very big game with a very complex board and lots of components. I can imagine it was not an easy one to do. Can you tell us a bit about your experience when working on this project? Were you responsible creating Art for the whole game or just parts of it? Definitely enjoyed this project and as you say it was quite complex especially the game board which I briefly mentioned previously. I actually created all the artwork for the project and Vital created all the graphics so we were in constant communication and collaboration. The game board was definitely the biggest challenge due to it’s size and the complexity of subject matter. I initially suggested a top down view of the factory but with a slight angle so you could still see the walls and sides of machinery, which ended up being a very challenging view to illustrate but I really liked the way it came out. I was also given a little free reign to design the cars you could manufacture. You have an favorite artist who you admire? This is another question I struggle to answer as I’m very often finding new artists to admire. I tend to fall back on my long standing favourites who tend to be older artists, such as John Everett Millais and the pre-raphaelites, John William Waterhouse, Mucha. For more recent artists I’ve been following Loish for a long time, Tom Scholes, Dice Tsutsumi worked with Pixar, Lisa Keane who’s worked with Disney, Kazuo Oga who creates Studio Ghibli background art, to name a few! Is there some kind of a “Dream” Project you would like to do in the future? I’ve been giving this some thought as it’s quite a tricky question to answer. Maybe a project that is heavily fairy tale or fantasy based with a lot of natural scenes and a strong narrative running through. I’d also quite like to go back to an airship themed game! Do you enjoy playing Board games? If yes, what genre you prefer? Can you share with us the titles you love most? I don’t get to play board games anywhere near as much I want to. I moved away from my board gaming group which has made it really tricky to organise. I think I would class as a casual board gamer and I mostly play games like Small Worlds, Zombicide or Beyond Baker Street, although it’s great to branch out a bit at the big conventions and try out so many varied games. 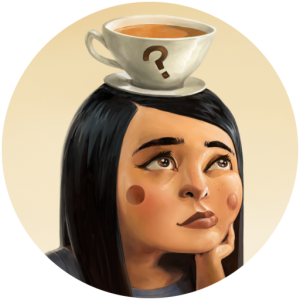 What advise would you give to newcomer artists, who would like to get a foot into the Board game Industry? Best advice is to paint and create things you are personally passionate about, that sort of passion always shows best in your work. Create a nice portfolio of work and post it everywhere, get your work visible, contact developers/designers and ask them if they need any help. You tend to find the people in the board games industry to be incredibly kind and helpful which makes it a great place to start. Thank you so much for taking your time to answer our questions. We wish you all the best and lots of success for the future. Wir hoffen ihr findet das Interview genauso interessant, wie wir. Lasst uns wissen, welche Hintergrundinformationen euch noch so interessieren. Wir hängen uns gern dahinter. Zum Schluss gibt es noch die oben erwähnte Überraschung. Naomi hat exklusiv für Spielstil ein Bild gemalt. Als Vorgabe diente „Zeichne ein Bild, das für dich mit dem Thema Spiel zu tun hat“. Wollt ihr mehr über Naomi Robinson erfahren oder weitere Bilder sehen? Dann besucht einfach folgende Seiten.